Ralph Vaughan Williams lived through a great deal, both musically and in terms of world events. He was already in his forties when Stravinsky wrote The Rite of Spring and by the time of his death in 1959 Boulez and Stockhausen were on the rise. But if he seemed to be uninfluenced by the major musical developments of his long life, he certainly was affected by the big political and social movements of his time. Born in 1872 and brought up in an idyllic and seemingly stable environment that was to be blown apart by the First World War, it is understandable that he wanted to avoid German musical influences and attempt to re-create English music’s past. 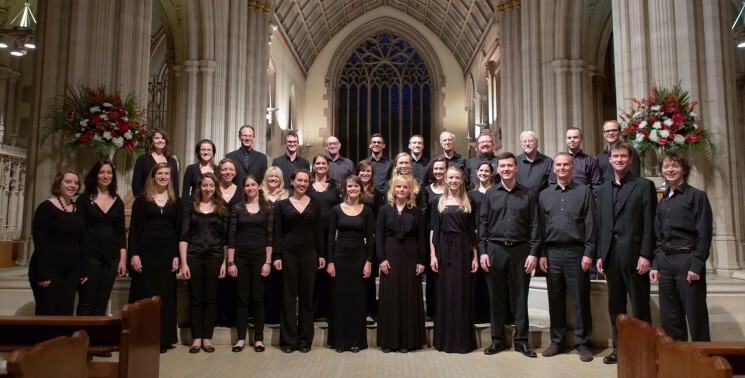 This was the opening concert, on 8 October 2016, of the Vaughan Williams and Friends Festival at St John's Smith Square, curated by pianist Anna Tilbrook, in which the performers were the Holst Singers, conducted by Benjamin Nicholas. The first half of the programme featured some of Vaughan Williams’ composition teachers Parry and Stanford, and contemporaries such as Holst and Howells, who influenced his musical thinking, whilst the second half was devoted to Vaughan Williams' Mass in G Minor. We started off with Parry’s I was glad and an outing for St Johns’ magnificent organ which, being at the back of the space, created an overwhelming beginning to the festival. The organist, not credited in the programme or text sheet, was Jeremy Colne. Next came Stanford’s motet Beati quorum via – a setting of the first verse of Psalm 119, in six parts and unaccompanied. The choir felt a little more tentative when deprived of the organ. William Lloyd Webber, the son of a self-employed plumber and organ enthusiast (as I found out later) studied alongside Vaughan Williams at the RCM and was very prolific, though his works are not often heard. We heard the 'Gloria' from his Missa Santae Maria Magdalenae – and again we were sold short in the programme and left to Wikipedia to find out more afterwards. Howells’ Requiem of 1932 was heart-breakingly beautiful – the best of the evening, and Holst’s setting of the Nunc Dimittis had a sense of harking back to the English Renaissance composers. We ended the first half with Vaughan Williams’ setting of Psalm 90, Lord thou has been our refuge with organ and marvellous (though uncredited) trumpet playing). For such a high-profile choir I was quite struck by the lack of discipline in the first half: singers scanning the audience when not singing; tentative entries and, particularly from the sopranos, cracking on rather too many of the long phrases. These are essentially Romantic composers who, I feel sure, would have expected their choirs to have more of a line: ‘Sing through the notes!’ – didn’t seem to have been said enough times in rehearsal. They were clearly very capable musicians but perhaps left to their own devices too much. Three was one work in the second half: Vaughan Williams’ Mass in G minor written in 1932 and backward-looking in a good way –understandably so if we consider how much the composer lost in the First World War: friends; his sense of certainty; his hearing (though being in the Royal Artillery). There is no wonder he wanted to keep clear of German influences in favour of French (thanks to lessons from Ravel) and folk songs (through his work with Cecil Sharp) as well as pre-Renaissance and Renaissance styles. It occurred to me that this music will provide in these Brexity times a nostalgic escape back to old certainties and stability (however illusory they might have been).